Hellooooo! Do you have time for 2 quickie CAS cards? Today, I've got 2 cards that I made with the Avery Elle Set Woodgrain & More! This stamp set has some large background stamps that are just perfect when you need a little bit of texture. In my case, I'm using the sets to texturize some alpha die cuts. For my first card, I die cut a rounded panel using my Custom Panels dies. 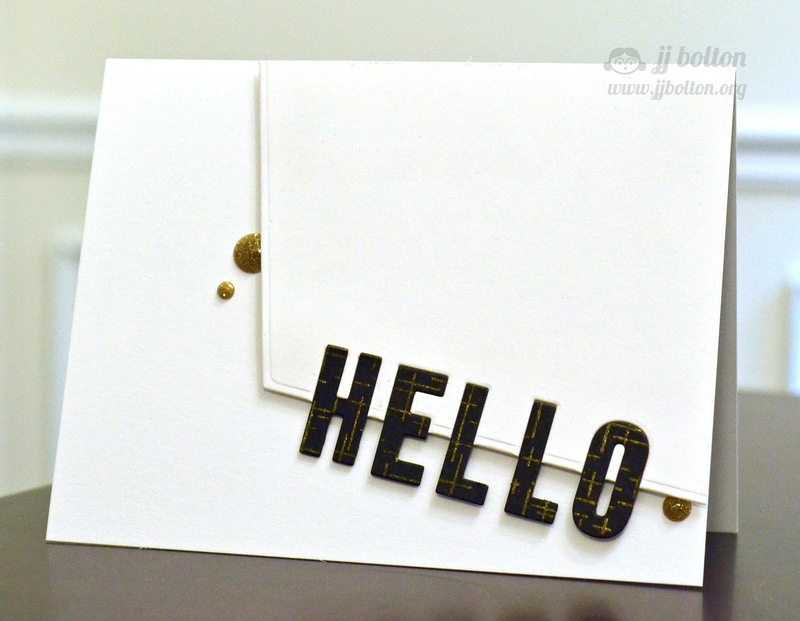 Then I die cut the word "HELLO" with my Avery's Alpha dies just along the edge of the curve. 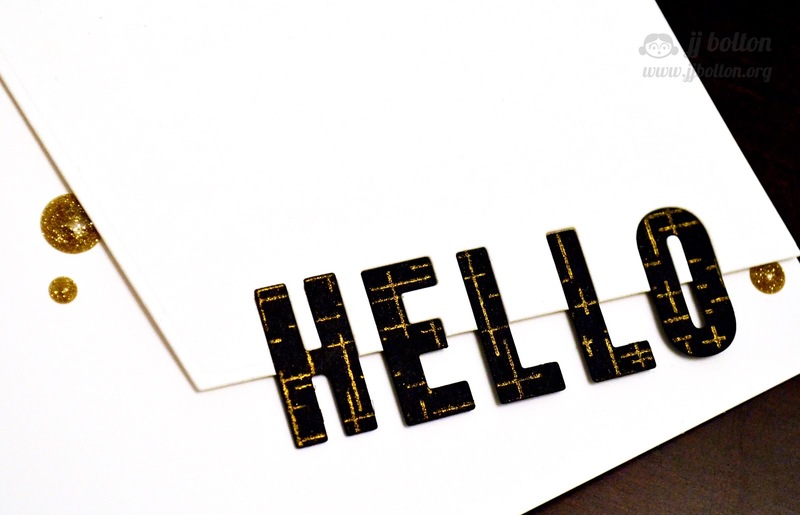 I went back in and inlaid letters that I cut out yellow card stock stamped with the woodgrain stamp. The rounded panel is up on foam tape and that makes the letters just hover. I did the same technique with an angled panel and the crosshatch stamp. Here's a closer look at the hovering letters:) Very fun! 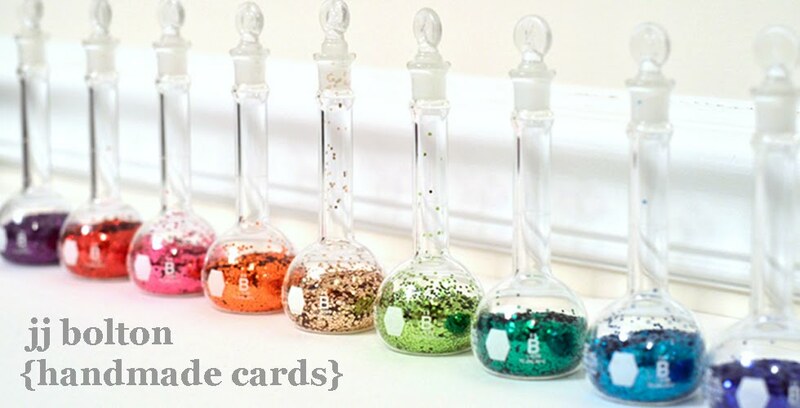 What classy and simple cards. Thanks for the post! LOVE them both! Two simply, awesome cards! You always have such clever ideas with your stamps and dies...WOW! I love both CAS cards, JJ! Thanks so much for sharing them with us! Those are so cool. I cannot get over what you can do with dies (I was just looking at the SSS post). Amazing as always, JJ! SO COOL!! 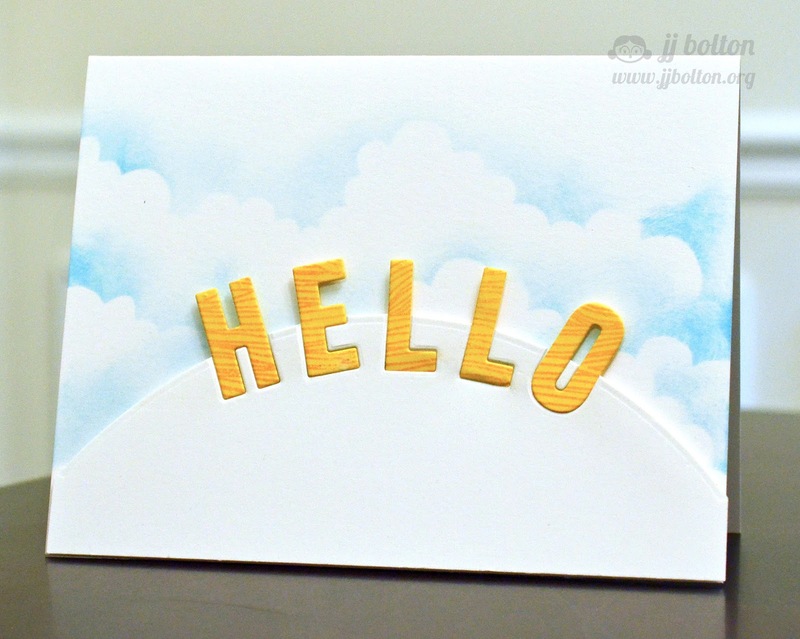 Love how your letters kinda look like rays shooting off the sun on your first card! Oooh! What a cool look! TFS!